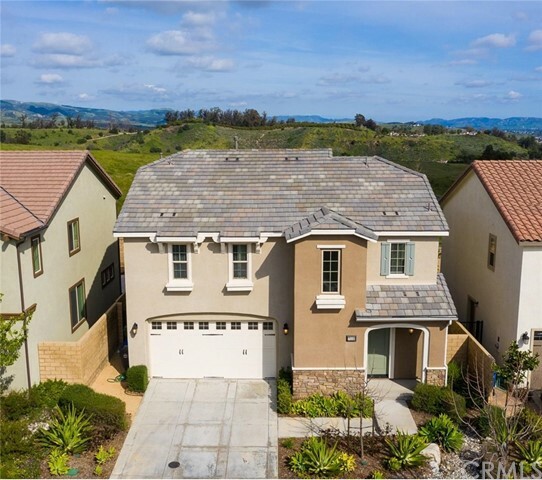 All Moorpark homes currently listed for sale in Moorpark as of 04/25/2019 are shown below. You can change the search criteria at any time by pressing the 'Change Search' button below. 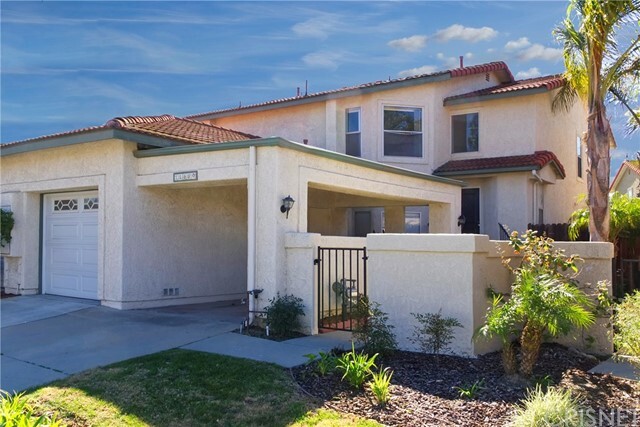 "Incredibly Rare Moorpark Offering! View! View! View! 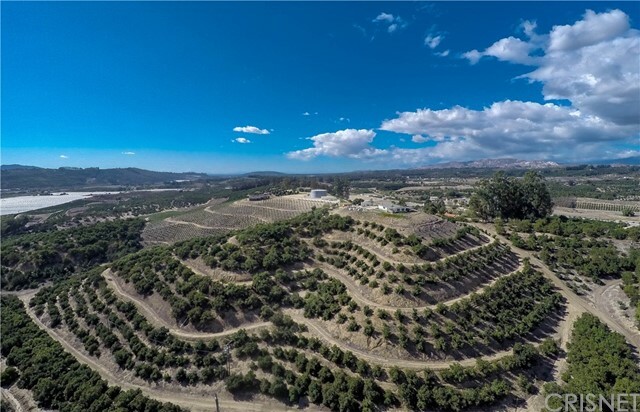 Incredible 20.7 Acre Prime Hass Transitional Avocado Ranch! Astonishing Top Of The World Nearly 360 Degree Views! 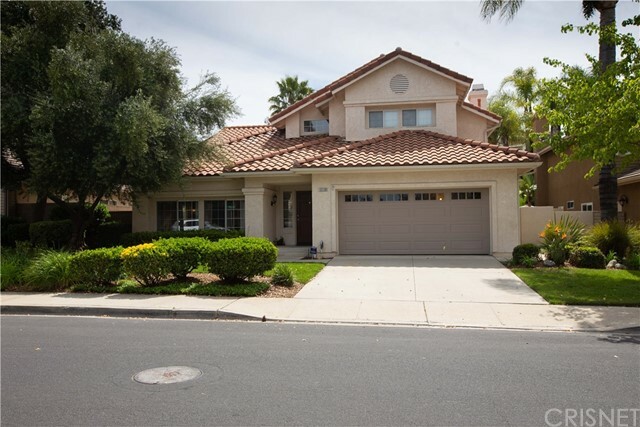 Wonderful 3 Bedroom & 3 Bath Home With Inviting Spa! Cooks Kitchen! Spacious Living Room With Fireplace! Wet Bar! Marvelous Master Suite with Spa Tub! 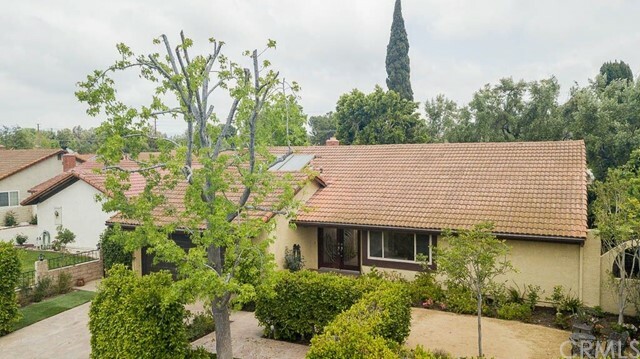 Exquisitely set on this Gated & Partial Fenced Breathtaking Hass Avocado on 20.7-Acre Transitional Ranch with Total Privacy! This Beautiful Orchard Is Very Well Maintained! Great Pas"
"Welcome to prestigious Country Club Estates and experience a timeless beauty of stone, wood, iron and incredible design features for the ultimate in Living. This Beautiful home features so many upgrades and improvements that should not be missed....starting from a stacked stone exterior leading to a stone floor foyer, high vaulted ceiling and beautiful wood & iron circular staircase. 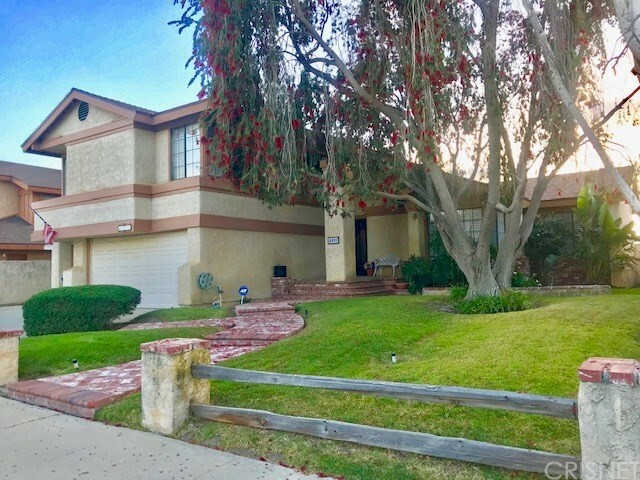 Off the entry is a lovely office/music room, a spacious living room with fireplace and formal dining room with st"
"Stunning pool home located on an oversized lot in the beautiful Tuscany neighborhood of Moorpark. 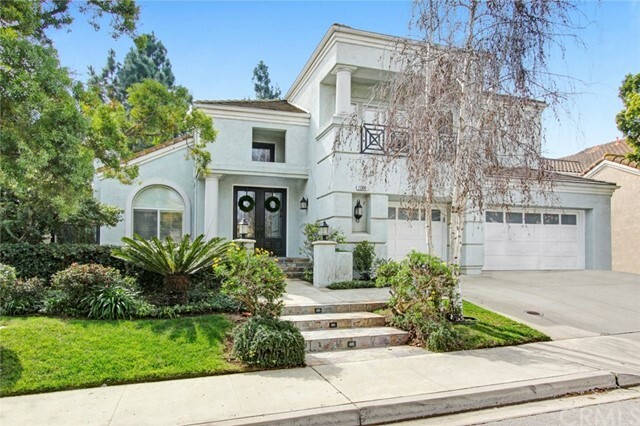 Fabulous curb appeal with its charming courtyard adorned by mature trees & blooming flowers. The grand double doors usher you into the formal entry & living room with soaring ceilings, beautiful fireplace, & lofty formal dining area. The chef's kitchen has custom cabinetry with pullout shelves, spice drawer, oversized center island, quartz countertops, glass tile backsplash, GE Commercial size refri"
"This Pristine Condition Single Story Home offers 4 bedroom, 3.5 bathroom, 3 car garage perfectly situated at a cul-de-sac. Beautiful high quality custom upgrades, recessed lighting, crown moldings, window shutters, window screens, hardwood flooring. The dining room and kitchen have French doors with upgraded door screens that lead to a center courtyard with custom designed flooring, with a wall fountain perfect for entertaining! The eat-in chef's kitchen beautiful custom built cabinets, back spl"
"As you drive through the security gates of prestigious Meridian Hills Gated Community and begin to approach this spectacular residence, you quickly realize you have entered into a private oasis of gorgeous homes affording you the ultimate in privacy and exclusivity. The location could not be more ideal than on Red Bird Court, and just a stone s throw away from all of the community s vast amenities. The interior of this beautiful home is architectural splendor at its"
"An impressive Deauville home with over 4,000 sq ft of living space and sits on a 7,735 square foot lot. Double door entry with an elegant foyer leads into a Formal Living and Dining room. High vaulted ceilings, large windows and an open floor plan all create a bright, airy and very comfortable home. Freshly painted, plantation shutters new carpet and recess lighting are some of the many features you will love. There is a downstairs bed and bath that is perfect for guests or in-laws. The spacious"
"Tuscany at its finest. Exceptional curb appeal, upgraded, superbly-maintained home on an inside street away from noise. 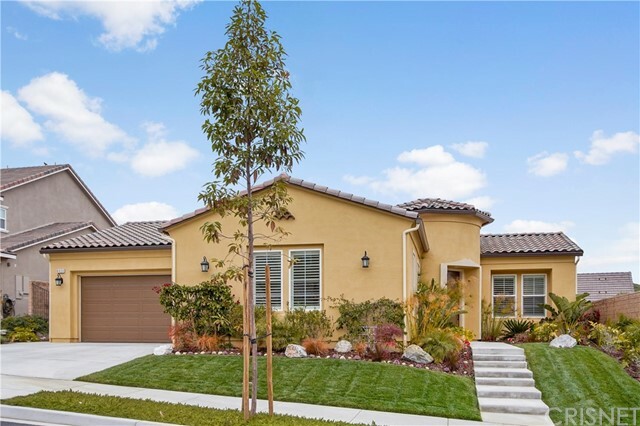 This turnkey-ready home has soaring ceilings, 3 fireplaces, open floor plan. Formal step-down entry has updated tile floors, updated chandeliers. Family room and kitchen have upgraded, dimmable, recessed LED lighting. Chef s kitchen features double oven, updated granite counter tops and glass fronted cabinets to display your fine china. The private, quiet, carefu"
"PRIME CUL-DE-SAC LOCATION!! Light and bright four bedroom, three bathroom home at nearly 2,700 square feet. 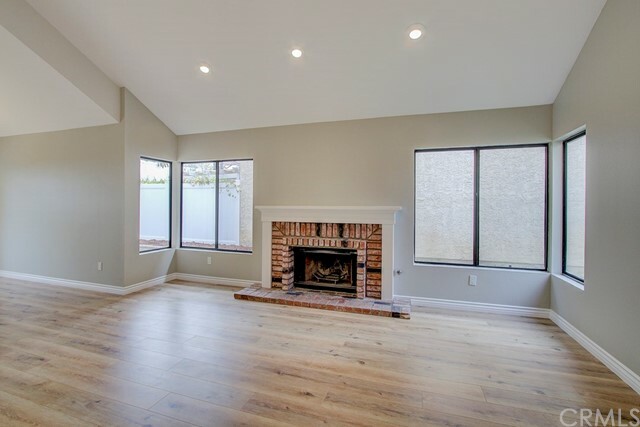 Open floor plan with vaulted ceilings, endless windows with natural light throughout. Kitchen with granite counter tops, stainless appliances and breakfast nook. Large separate Living Room and Family Room, both with fireplaces. Lovely, finished backyard with built-in BBQ, covered patio, and Jacuzzi hot tub. Bedroom and full bathroom downstairs. Good size secondary bedrooms upstairs, one wi"
"Make this move-in ready home yours today! This home rests on a lot with spectacular views from the master bedroom and bath of rolling green hills and flowers. The gourmet kitchen has granite counters, stainless steel appliances, wood cabinets, beautiful white subway tile backsplash, and a picturesque view and calming sound of the backyard water fountain. The private backyard is a tranquil escape designed for minimal upkeep including jasmine vines, a banana trees, and a side yard dog run. 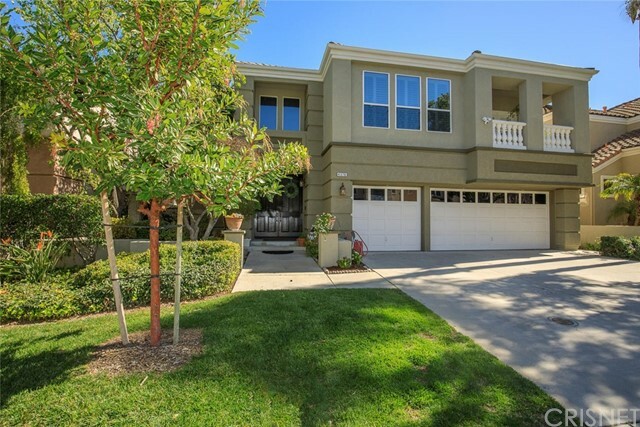 Downsta"
"Beautiful ONE STORY south Moorpark Home. 3 Bedrooms PLUS DEN for guests, office or library and a Family Room! Approx. 2679 Sq. Ft per assessor! Spacious and open floor plan. Remodeled Kitchen with lots of cabinet space, with open eating area, skylight and beautiful added built in cabinetry. Large master bedroom with updated master bath. Open formal dining area to entertain family and friends on holidays. Partial mountain views from this larger raised corner lot. Retractable rear patio awning. Th"
"Every once in awhile, a great opportunity comes up. These original owners have taken meticulous care of their home. 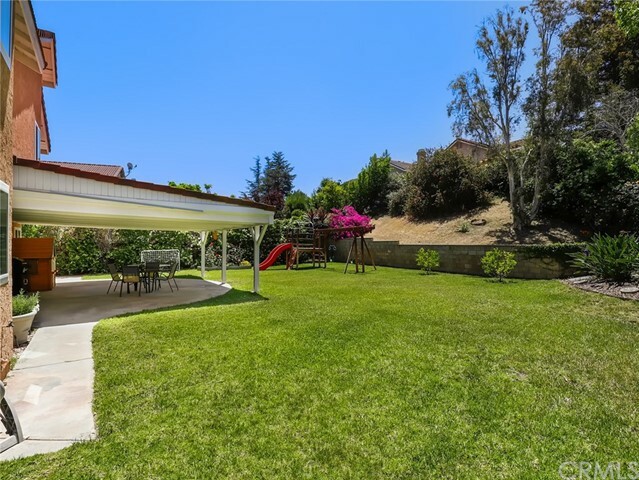 This spacious home has beautiful curb appeal with brick walkway, perfectly situated on an amazing view lot with no rear neighbors and sunset views that go on forever. Tile entry and decorator glass inlay on Front door, Plantation shutters, upgraded carpet, cozy fireplace in family room, with eating area off kitchen and formal dining room too. Every bit of tradition is offered in th"
"This magnificent property features an amazing floor-plan highlighted by a large living room with fireplace and dramatic vaulted ceilings, formal dining room, spacious chef s kitchen that overlooks the huge backyard and opens to the fabulous family room with a second fireplace. All three generously sized bedrooms upstairs, including the grand master suite. This property sits on a sweeping corner lot with a very private backyard featuring a large covered patio, grassy play area, ext"
"This Lovely Countryside Mountain Meadows Home Features 3 Bedrooms, 2.5 Baths, Vaulted Ceilings, Step-Down Living Room with Fireplace that Opens to Dining Room, Upgraded Kitchen Features Tile Flooring, Stainless Steel Appliances, Built-In Microwave, High End Cabinets with Soft Close Drawers, Granite Counter Tops, Center Island, Recessed Lighting and View to Backyard, Kitchen Opens to Family Room with Brick Fireplace, Large Master Bedroom has Ceiling Fan, Plantation Shutters, Private Master Bathro"
"REDUCED! LOCATION, LOCATION, LOCATION! This beautiful, spacious, two level house has so much to offer with lots of natural sunlight, vaulted ceilings in entry and formal living room space. Newly updated with newer paint, carpeting, refinished kitchen cabinetry with new stainless steel appliances, and one new garage door motor with rail. The main floor plan is bright and open with formal living room, formal dining area, open kitchen to family room with fireplace, private bar, main floor bedoorm a"
"A nice 4+2 single story. Tile floors, Granite Countertops, Dual pane windows, Recessed Lights, Neutral colors, 4th BR converted to office with built-in L-shaped Granite top desk and soaring floor to ceiling bookshelves. Large Master w/ french doors, big walk-in closet and spacious master bath. Main Bathroom updated with attractive tile and vanity, neutral colors. 2 French Doors lead to patio and garden area. Double fenced back yard for shaded dog run. 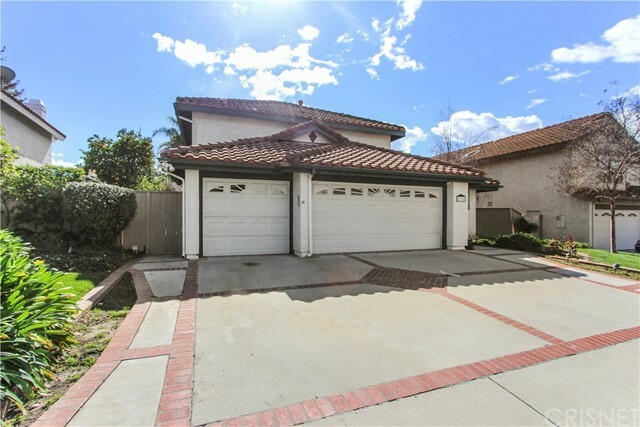 Located in a very walkable community, this h"
"Outstanding move in ready home in Moorpark (no HOA no Mello Roos). The long term owners have prepared this home for you from the outside in: new sod and pavers, all new interior light fixtures, new floors, all new interior paint, recessed lights, all new Solid wood doors & hardware, new water heater, updated bathrooms and new window coverings. The HVAC is in excellent working order. The home provides a private front and back yard, with abundant parking in the driveway. 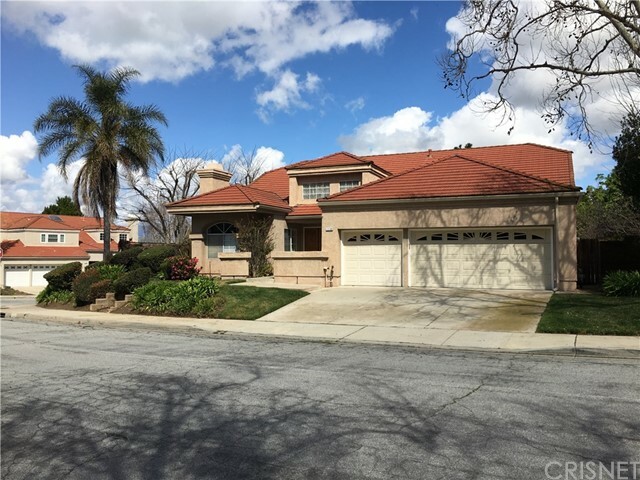 Nearby schools include Cam"
"Varsity Park Patio Home, 2 bedroom, 2 bathrooms, large private back yard, spectacular views of orchards and surrounding hills from back yard. High ceilings and laminated flooring. Location, privacy, views, Great Home!!" 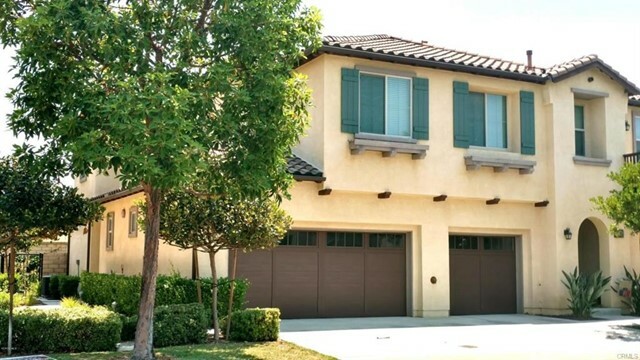 "Don t miss the opportunity to own a move-in ready home in Moorpark. This 3 bedrooms and 2.5 bathroom house is located in very desirable Heather Glen community. When you enter the house, two-story foyer brings you many natural light. You will then walk down to the spacious living room (with fireplace) and formal dining area (with chandelier). Kitchen is upgraded with new white shaker cabinets, quartz counter tops, spacious pantry, bar and breakfast area with view to private front y"
"Professionals, Small Families, and Investors/Landlords alike - Don't miss this upgraded, private townhouse just one home away from the end of the cul-de-sac. Backs to open land with no neighbors behind you and located in the quiet and upscale Waverly Place community that boasts a community pool and spa, BBQ, and playground just steps away. Open floor plan downstairs with upgraded kitchen, living room with fireplace, and separate laundry room. Additionally, 2 car garage with direct access to the "